WD® (NASDAQ: WDC), a storage industry leader, today announced the debut of WD Red™ NAS hard drives, an innovative line of SATA hard drives specifically designed for home and small office NAS (network attached storage) systems with one to five drive bays. Compatibility-tested with top NAS box manufacturers and optimized for power and performance, WD Red hard drives are now shipping in 3.5-inch 1 TB, 2 TB and 3 TB capacities. The WD Red line features NASware™ technology, designed to improve reliability and system performance, reduce customer downtime and to simplify the integration process. This new product line addresses the unique environment of NAS and the growing demand for affordable, reliable and compatible storage that reduces customer total cost of ownership. WD Red hard drives also feature 3D Active Balance Plus, an enhanced balance control technology, which significantly improves the overall drive performance and reliability. In an exclusive for WD Red customers, WD is offering free premium 24x7 dedicated support and a three-year limited warranty. The addition of WD Red expands WD's "Power of Choice" client hard drive solutions. WD recognizes that customers and their applications are diverse and they should be empowered to choose the drives that best suit their specific storage needs. With distinguishable colors, the "Power of Choice" storage solutions are clear and easy to identify: WD Blue™ (solid performance and reliability for everyday computing), WD Green™ (cool, quiet, eco-friendly), WD Black™ (maximum performance for power computing) and WD Red (home and small office NAS). The four colors enable quick selection of the best WD drive for customers' application or usage requirements. "The network attached entry level storage market is poised to grow at an 86.2 percent 2011-2016 CAGR," according to John Rydning, IDC's research vice president for hard disk drives. 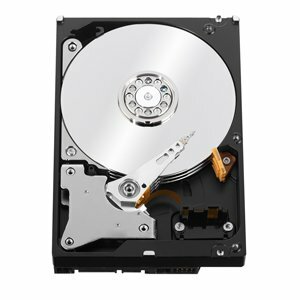 "WD's new WD Red hard disk drives offer a unique combination of product features and customer support for users seeking to expand the capacity of their entry-level network attached storage solutions." "Until now, customers had to choose between using desktop or high-end server drives for their home or small office NAS systems – neither of which were both cost effective for consumer solutions and fully NAS compatible," said Melyssa Banda, senior director of product marketing for WD. "WD saw this challenge as a perfect opportunity to design a better solution so we developed WD Red drives, an optimized product for this rapidly growing segment." WD Red hard drives integrate seamlessly with WD NAS solutions and are qualified to work with a wide array of WD OEM partners. An updated list of WD Red-qualified products and manufacturers is available on the WD website at http://www.wdc.com/en/products/products.aspx?id=810. WD Red hard drives are available now at select resellers and distributors. Manufacturer's suggested retail price (MSRP) for the WD Red 1 TB drive (model #: WD10EFRX) is $109.00 USD, the 2 TB drive (model #: WD20EFRX) is $139.00 USD and the 3 TB drive (model #: WD30EFRX) is $189.00 USD. More information about WD Red hard drives including terms of the limited warranty may be found on the company website at http://www.wdc.com/en/products/products.aspx?id=810.